WWDC's real value, iCloud premieres, and Apple drops the ball on their own app. Greetings from sunny partly cloudy and a bit chilly San Francisco. I’m here with 5,200 of my closest friends. We decided it would be a nice week to spend hours waiting in lines, so we’ve gathered for the yearly pilgrimage know as WWDC. There’s all sorts of cool new stuff being talked about, most of which I can’t tell you about because of the strict non-disclosure agreements that Apple Developers operate under. But I can tell you about the things that Apple publicly disclosed on Monday at the keynote, and some general observations about the conference. You can get a full breakdown of the Monday keynote here, if you haven’t already heard the news. The Monday keynote, as announced, featured Steve Jobs as master of ceremonies. Lines started forming the day before for entry, and when I arrived at 7am, the line stretched all the way around the block that Moscone West sits on, back to meet itself. And for the record, arrive at 7am got you a seat almost at the back of the auditorium, with the presenters appearing as tiny specks. Since the only way to see what was going on was on the large screens, I could have probably come much later and sat down in the overflow room, and had pretty much the same experience. To be honest, unless you want to be a die-hard and camp out to sit close, there’s no real reason to go to the keynote unless you like having the buzz of knowing something that other people don’t — for the full 30 seconds before the people live-blogging let the rest of the world know. You could pretty much say the rest for all the talks, since they are made available to developers after the conference, and without waiting in the long lines to get in. The real benefits to WWDC are the labs and the chance to interact one-on-one with Apple engineers and fellow developers. That, by itself, was worth the price of admission. 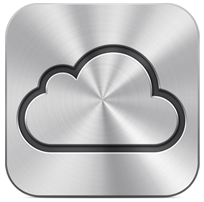 The biggest announcement (I can talk about) from a developer perspective is iCloud. Since Amazon and Google already offer cloud storage, you could be expected to see this as Apple playing catchup. But several aspects of iCloud are going to quickly make it the 700-pound gorilla. For one, it is going to be seamlessly integrated with iOS and Lion, meaning that Apple users will get access to iCloud without having to sign up for a new service, and they’ll be getting it for free. It also will be available for Windows iTunes users, and the APIs are going to be available to developers. Who should worry most? Probably Dropbox, since Apple is essentially stealing their lunch and giving them a wedgie while they’re at it. For Apple developers, iCloud is going to offer a new opportunity to integrate an application experience across all the iOS and Lion devices a consumer owns, and I’m sure we’ll see Apple TV join the party in the near future. If there’s one thing Apple totally blew at WWDC, it’s their iOS app for attendees. The app lets you view the schedule, select favorites sessions, look at maps of the facility, and make reservations for one-on-one labs. Everything worked pretty well, until you tried to actually make a reservation. For one thing, the feature was supposed to turn on right after the keynote, but didn’t actually go live until Tuesday morning. When it did go live, making a reservation was impossible, as it would either time out or crash while trying to. I was one of the lucky few to actually get a reservation for a lab, and when I showed up at my (confirmed by email) appointment time, I was told that they hadn’t been able to get the reservations downloaded into their scheduling system, and I needed to reserve in person. Luckily, I was able to get a slot a few hours later, but the overall impression that the app was a last-minute slapped-together-by-an-intern hack is hard to avoid.